One of the great misleading myths of modern manufacturing is that North America cannot compete in a global manufacturing marketplace and is losing jobs due to lower foreign labor costs. This belief is not true, according to applications engineers at Makino, a global provider of advanced machining technology. They say the automation of manufacturing processes, including the robotic and conveyor integration of manufacturing work cells, can actually drive the parts production or die and mold manufacturing costs down while maintaining or enhancing quality. Makino has documented such manufacturing examples through customer contacts and interviews. Investing in such technologically advanced processes has become so productive that the low per-unit-part cost makes domestically manufactured goods competitive with the production of goods with foreign labor wages. Also, the local customer service and the shorter lead time aspects of U.S. and North American manufacturing aides in this competitive formula, making the company more valuable to its customers. Making these technological upgrades will also save U.S. and North American jobs. 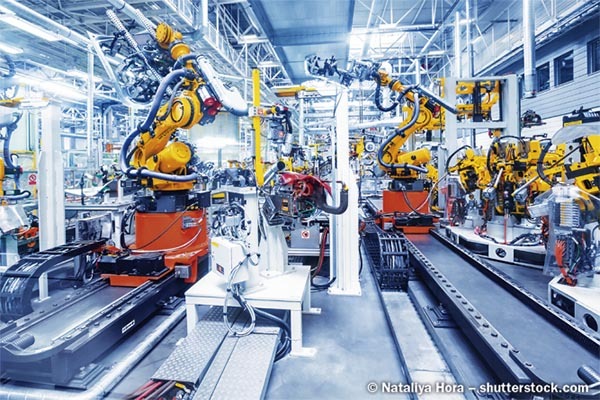 Many manufacturers initially feared that by investing in automation technology, jobs would only be lost to the machinery as opposed to foreign competitors. However, as a number of manufacturing case studies prove, such a technological investment actually helps save and maintain jobs. Hiring also continues to grow at a significant annual rate to keep up with increasing work volume. In one case study, the cycle times and lead times for many production processes improved dramatically. Some high-volume production parts that were previously manufactured at a rate of two per hour are now being manufactured at a rate of 126 per hour. And, some processes that used to take 12 weeks can now be completed in six.